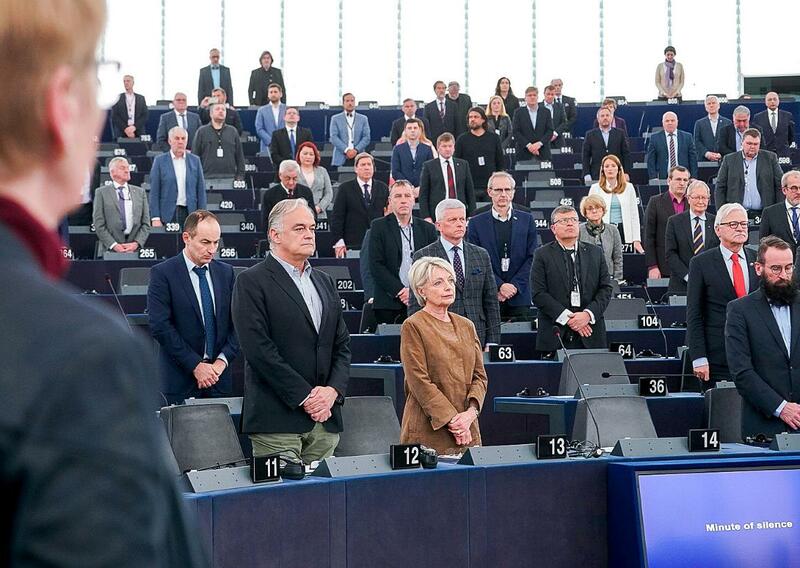 President Tajani led a minute of silence to remember victims of Utrecht, Christchurch, cyclone Idai and 1949 mass deportations, at the opening of the session. Following the deadly shooting on a tram in Utrecht, President Tajani expressed his condolences to Prime Minister of the Netherlands Mark Rutte and the families of the victims. The victims of the terrorist attack on the mosque in Christchurch, New Zealand and of the devastation and loss of life caused by cyclone Idai which has affected several countries in southern Africa were also remembered. Finally, the President recalled the 70th anniversary of the 25-28 March 1949 mass deportations from the Baltic states occupied by the Soviet Union. The debate on the Oral Question on the "Situation of the rule of law and fight against corruption in the EU, specifically in Malta and Slovakia" will be wrapped up by a resolution to be put to the vote on Thursday. A debate on the Vautmans report on "Decision establishing a European Peace Facility" is added as the last item in the evening. Decisions by several committees to enter into inter-institutional negotiations (Rule 69c) are published on the plenary website. If no request for a vote in Parliament on the decision to enter into negotiations is made by Tuesday 24.00, the committees may start negotiations.